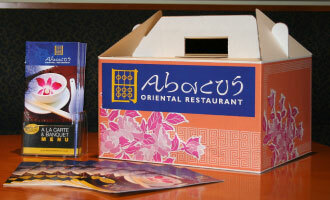 Abacus is a contemporary oriental restaurant located at the Middlebrook Leisure Park in Bolton. We are conveniently situated near to The University of Bolton Stadium next to the Vue Cinema and the Hollywood ten-pin bowling complex. Abacus offers an excellent range of dishes for you to choose from. The menu consist of dishes from across the orient – China, Thailand, Malaysia, and Singapore. Whatever your taste buds, you will be able to find something suitable for you. Enjoy Abacus Oriental cooking at home, after the cinema or after the football. Now get a fantastic 20% Off the menu on any takeaway order over £8. Pick up the phone now! Abacus Gift Vouchers are great gifts for Christmas, birthdays or for anyone special. 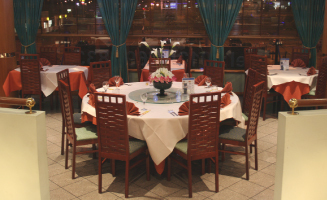 They are fantastic for introducing your friends and family to the authentic oriental cooking at Abacus. You can purchase them to the value of £10 and £20. We wish you a Happy Chinese New Year and prosperous year ahead. People born in the year of the Pig are happy, responsible and attached to family. Enjoy a three course weekend meal from £10.90. Now everyone can sample the delicious taste of oriental cooking. 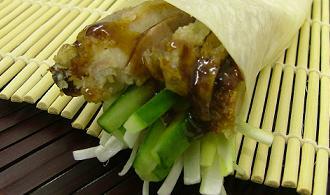 Enjoy Abacus Oriental cooking at home, after the cinema or after the football. Now receive a fantastic 20% discount off the menu prices on any takeaway order over £8. Order now and your takeaway will be ready in minutes.